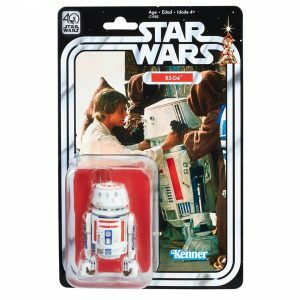 There has been a bit of confusion surrounding the retail partner for the 6″ 40AC R5-D4 figure. Original claims out of Toy Fair stated that it would be exclusive to Entertainment Earth, but the images from Hasbro indicated that GameStop would be offering the figure. We’ve received information that Entertainment Earth IS NOT carrying it and it will in fact be sold through GameStop/ThinkGeek. We’re back!!!! Toy Fair 2017 is here and Hasbro has officially unveiled the 40th Anniversary Collection of products. Join Flyguy and me as we discuss all of the reveals including exclusives, 3.75″ figures and more. This and much more on Episode 109 of The Realm Recap.